Thousands of people in Malta took to the streets for the second Sunday in a row, saying they will not be silenced until there is justice for murdered journalist and anti-corruption blogger Daphne Caruana Galizia. Organisers said 10,000 people took part in the rally in Sliema, across the harbour from capital Valletta, in honour of the 53-year-old who was killed in a car bombing on October 16. Initial shock at the death of a woman whose work probed the murky corners of Maltese politics, rattling the government and opposition alike, has since given way to anger at the authorities. "We cannot take freedom of expression for granted. Look at what happened to Daphne," protester Henry Cardona told AFP. He said he was there with family and friends to express "disdain" at the murder. 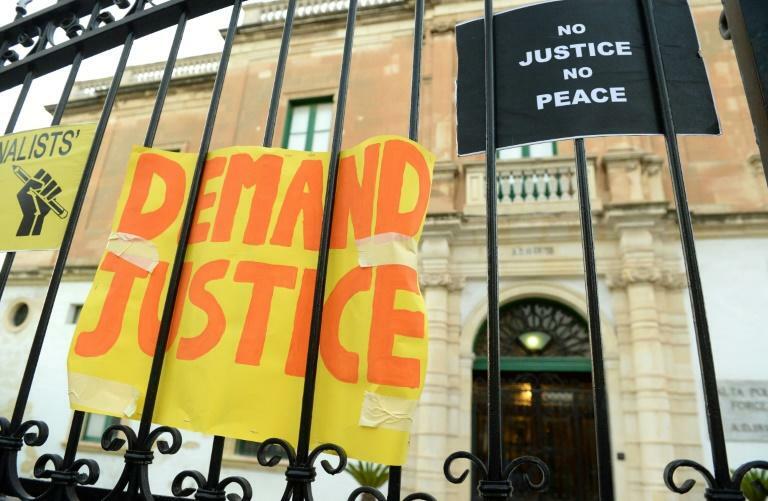 Blogger Jacques Zammit said Caruana Galizia's family does not only wish for the culprit to be brought to justice, but they want to see the rule of law, democracy and freedom to be restored to the island. "The state no longer serves the country but the inner circles of power," he said in a speech read out by a friend. Some in the crowd carried placards saying "We will not be silenced" and "Our country deserves better", while others blew whistles as John Lennon's song "Imagine" and Pink Floyd's "Wish You Were Here" played on loudspeakers. As in previous rallies, organisers called for the resignation of the police commissioner and the attorney general, who they say are responsible for the current state of affairs which led to the journalist's death. The killing has prompted much soul-searching on the island of 430,000 people over whether the country was becoming a cesspit of corruption against the backdrop of an economic boom in which organised crime and money-laundering have reportedly flourished. Caruana Galizia was often described as a "one-woman Wikileaks" for unflinchingly bringing political dirt to the surface with dogged research into alleged financial corruption by Prime Minister Joseph Muscat's inner circle, largely based on the Panama Papers leak. After her death her family accused Muscat of filling his office with crooks and creating a culture of impunity that turned Malta into a "mafia island". Investigators from Europol, FBI officers and Dutch forensic police will assist in the probe into the murder amid fears that the assassination would not be fairly handled by national investigators.